Behold, the holy grail of PC displays. After teasing it at CES in January, Acer pulled back more of the curtain on one of the most badass, feature-filled PC monitors ever at the company’s Next@Acer event in New York on Thursday: the beastly Predator X27. 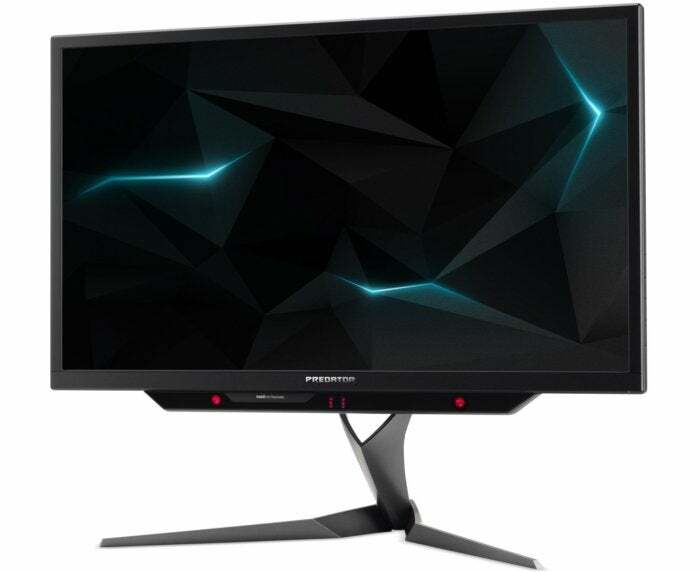 The Predator X27 is one of the debut G-Sync HDR displays, infused with Nvidia’s stutter-killing graphics technology and glorious high-dynamic-range visuals that are only just starting to appear in PCs. While today’s brightest monitors top out around 400 nits of brightness, Acer’s flagship hits a whopping 1,000 nits via 384 separate backlights, which help it deliver the vibrant colors HDR is famous for—a vividness that makes HDR’s deep, deep blacks all the more impactful. But it doesn’t end there. Acer’s loaded the Predator X27 with basically every feature you can ask for: 4K resolution, a blisteringly fast 144Hz refresh rate, 4ms response time, 99 percent coverage of the Adobe RGB color space, 178-degree viewing angles, Tobii eye-tracking, and bleeding-edge Quantum Dot enhancement film technology. Nvidia's GeForce GTX 1080 Ti is the most powerful graphics card ever, capable of no-compromises 4K gaming. It's cheaper than expected, too. This is basically the holy grail of PC displays, folks. But it isn’t the only one; Asus is working on a G-Sync HDR monitor of its own with similar specs. Neither company has released crucial pricing or release-date info, however. Considering the premium on current G-Sync panels and the no-compromises list of luxurious features in the first G-Sync HDR panels, don’t expect the Predator X27 to be cheap—or the firepower needed to use it to its full capabilities. You'd need not one, but two $700 GeForce GTX 1080 Ti graphics cards to even come close to hitting 144Hz at 4K resolution in most games.